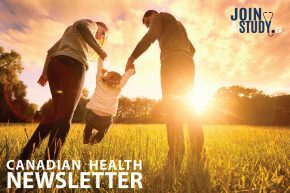 According to the Heart and Stroke Foundation, about one in five Canadians have hypertension, or high blood pressure. Even more worrisome is the fact that millions more Canadians have something called prehypertension, a condition in which blood pressure levels are higher than normal, but not high enough to be diagnosed. Whether you have high blood pressure or prehypertension, studies have shown that a healthy diet—including lean proteins, whole grains, low-fat dairy products, and fruits and vegetables—can help. But if you want to maintain or lower your blood pressure, certain foods can get in the way. Try to limit or avoid the following foods to keep your prehypertension or hypertension in check. Salt and sodium are major culprits when it comes to high blood pressure. Though your body needs a certain amount of sodium, most of us get too much. 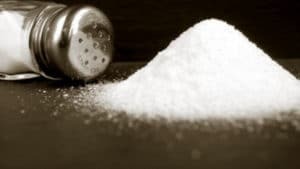 In fact, according to Health Canada, Canadians get about 3400 mg of sodium per day, which is more than double the required amount. They recommend aiming for about 1000-1500 mg of salt per day—especially if you have prehypertension or hypertension. It’s best to avoid the above food products if you have hypertension or are concerned about your blood pressure. Preserving food requires salt, which prevents the food from decaying, keeping it edible for longer. 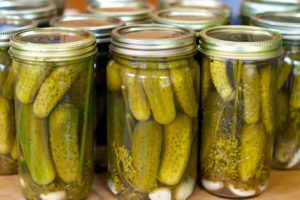 Though pickles are made with vegetables such as cucumbers, onions, cauliflower, and peppers, their salt content is through the roof. The more the vegetables sit in liquid, the more sodium they absorb. A single dill pickle spear can be packed with up to 300 mg of sodium—between one-third and one-fifth of the maximum daily allowance. It’s possible to find reduced sodium pickles, which contain about 100 mg each. But you should still eat them in moderation. Sugar is a known contributor to weight gain and obesity—but did you know that it’s also linked to hypertension? The truth is that taking in excess sugar, especially drinks that have been sweetened with sugar, is one of the main factors behind obesity, and obesity is a risk factor for high blood pressure. In general, people who are overweight or obese are more likely to suffer from prehypertension or high blood pressure. 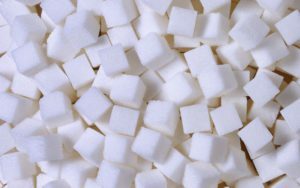 Though consumption of products with added sugar—including soft drinks, candy, and sugary snacks—has declined in recent years, Canadians are still taking in an average of 110 g of sugar per person per day. The World Health Organization (WHO) suggests limiting added sugars to 5% of your caloric intake —per day, that works out to approximately 24 grams for women and 36 grams for men. People with high blood pressure should avoid saturated and trans fats. Saturated fats include chicken skin, full-fat dairy products, red meat, and butter. Trans fats are found primarily in processed foods, including those that contain “partially hydrogenated oils” on their ingredient lists. Companies add these hydrogenated oils to food to increase shelf life, and fast food outlets and restaurants may add them as well. Common trans fat-containing food products include commercially prepared muffins, crackers, cakes, cookies, donuts, pies, baked goods, and fried foods. 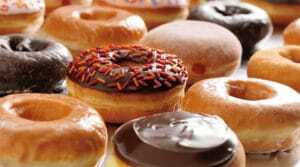 Saturated and trans fats can increase cholesterol, particularly “bad” LDL cholesterol. At the same time, some of these fats may also lower “good” HDL cholesterol. High cholesterol, which clogs the arteries, can exacerbate hypertension—and may even lead to coronary heart disease. 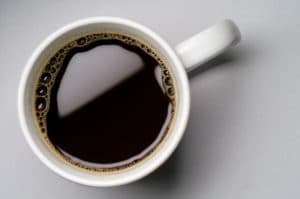 Unfortunately, your coffee habit may be contributing to prehypertension or hypertension. Drinking one or more cups of coffee per day has been shown to cause a short-lived spike in blood pressure. But when you have a daily coffee habit, it may eventually contribute to high blood pressure. The same is true of other caffeinated drinks, including energy drinks, soda, and tea. In small to moderate amounts, alcohol lowers your blood pressure. However, when you drink too much, the opposite is true—alcohol can increase your blood pressure. Having three drinks in a single sitting is enough to cause your blood pressure to spike—temporarily. Not surprisingly, repeated heavy drinking can lead to long-term increases in blood pressure and even hypertension. But drinking too much alcohol poses other problems as well. It can increase your risk of cancer, even if you only drink occasionally. If you take medication for hypertension, it can prevent it from working the way it should. 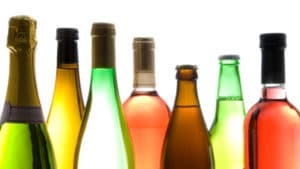 Alcohol is also heavy on calories, excessive drinking can lead to weight gain and being overweight or obese can also contribute to high blood pressure. If you’re a heavy drinker and would like to cut back, talk to your healthcare provider to get help.